4.0.2 All dairy goats must be thoroughly inspected at least twice per 24 hours. 4.5.14 Provision must be made for weaned dairy kids to go outside and graze during the growing season. 4.5.16 Dairy farms that raise their own kids for meat must follow the Animal Welfare Approved dairy standards from birth to weaning and the Animal Welfare Approved meat goat standards from weaning onwards. 4.6.9 Recommended Dairy kids should not be weaned from milk before they are 12 weeks of age. 4.6.10 Dairy kids must not be weaned from milk before they are six weeks of age. 4.8.13 If removal of supernumerary teats on dairy females is to be done the procedure must be carried out by a competent person using an effective local anesthetic before the kids are five weeks old. 6.1.1 To ensure proper rumen function goats must be provided with at least 70 percent long fiber roughage/forage in their diet on a daily dry matter basis from weaning onwards (see also 6.1.2). 6.1.2 The minimum requirement for roughage for lactating dairy goats is 60 percent long fiber roughage/forage on a daily dry matter basis. 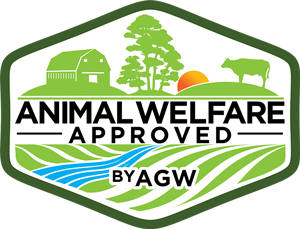 11.0.2 Records must be kept of the purchase, sale or transfer of Animal Welfare Approved animals and products (e.g. feeder kids, milk, meat etc.). Note: New dairies seeking Animal Welfare Approved status that currently euthanize healthy buck kids must have a written plan to end this practice.